Snickers Workwear takes personal protection very seriously. That’s why this range of Hi Vis clothing is streets ahead of anything else. With an extensive range of Jackets, Trousers, Toolvests, Shirts and Fleeces, there are 29 different garments in the range and a host of colour options and sizes. 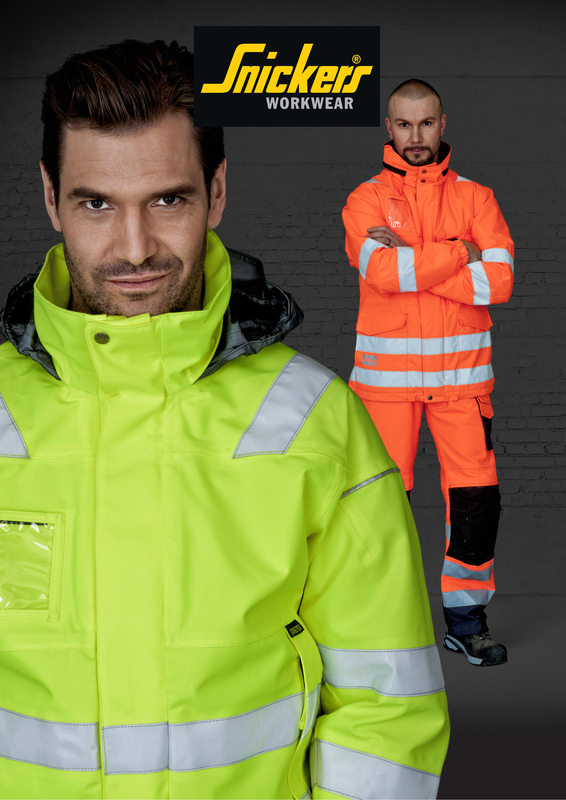 These ‘outstanding’ products combine Snickers’ unrivalled hallmarks of functionality and comfort with the requirements of the EN471 standard for high visibility warning clothes. All the garments feature high quality fabrics for durable, colour-fast protection that will last for wash after wash, retaining shape and comfort throughout the life of the garments. Added to which, all Snickers Hi Vis garments can be custom-profiled to ensure ‘stand out’ coverage for your corporate brand.